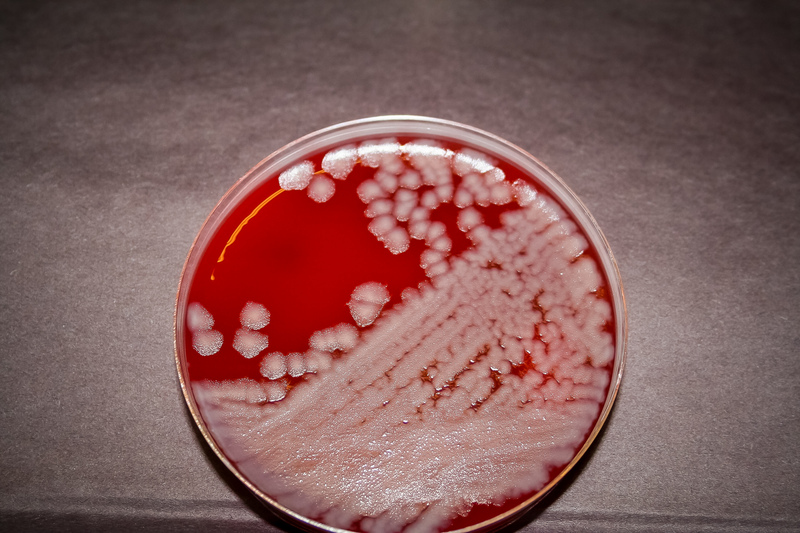 Failing to work with a microorganism at the correct Biosafety Level (BSL) in the laboratory has the potential to place people at risk of accidental exposure to infectious agents, so it is not a surprise that the June 5, 2014 incident at the Centers for Disease Control and Prevention (CDC) was such a high profile one. On that day, an aliquot of Bacillus anthracis, the causative agent of anthrax, was chemically treated so that it wouldn’t grow and could therefore be removed from the Biosafety Level 3 (BSL-3) laboratory. These are considered high containment laboratories where most high risk pathogens capable of causing infection via airborne transmission are normally handled. It was then transferred to a lower containment Biosafety Level 2 (BSL-2) laboratory at the CDC the following day under the assumption that the material had been properly inactivated. One week later, material from this batch was found to still be viable, necessitating the recall of all the plates and tubes that had come in contact with the organisms, and of course a massive decontamination effort. Laboratories are divided into four biosafety levels (BSL) depending upon the organisms with which they work. Organisms posing the lowest risk can be manipulated in a BSL-1 laboratory, while those that pose the greatest health risk must only be handled in a BSL-4 laboratory. BSL-1 laboratories work with organisms that don’t generally cause disease in healthy people. BSL-2 laboratories work with organisms that can make a healthy person sick; so in addition to gloves, lab coats and glasses, they also use a biosafety cabinet for procedures that could create aerosols. Most infectious disease laboratories at the Wadsworth Center which test patient specimens are BSL-2 laboratories. BSL-3 laboratories work with organisms that cause more serious disease through inhalation. Here, all procedures are performed in the biosafety cabinet, airflow is filtered, drawn back into the room and not recirculated to other laboratories and there are two sets of locking doors. BSL-4 laboratories work with organisms that have a high mortality rate and for which there is no vaccine or treatment. There are only a handful of these laboratories in the entire country. During the preparation of the report of the anthrax incident, it came to light that there was actually an earlier incident in which a non-pathogenic influenza culture was contaminated with a highly pathogenic strain of influenza and shipped from the CDC to a BSL-3 laboratory at the United States Department of Agriculture. Fortunately, neither incident resulted in transmission and the CDC subsequently took actions to investigate and improve biosafety measures. One such action was the formation of the External Laboratory Safety Workgroup, announced in July of 2014. Dr. Taylor, Director of the Wadsworth Center, was one of the eleven members of this committee. This Workgroup, consisting of both accomplished scientists and experienced biosafety professionals, not only advised the CDC Director and the CDC Director of Laboratory Safety regarding actions to be taken at CDC (e.g., corrective actions, additional safeguards, and training needs), but also recommended best practices for other federal laboratories. The External Laboratory Safety Workgroup evaluated existing procedures and practices and in January of 2015 made recommendations to the CDC. Subsequently, in October 2015, a follow up report on the progress toward meeting these recommendations was delivered. Closer to home, Dr. Taylor has been working with Wadsworth Center’s own biosafety team in evaluating and invigorating our current policies, procedures, training and overall biosafety culture. The result is a fresh, new approach. The Center recently invited Sean Kaufman, CEO and Founding Partner of Behavioral Based Improvement Solutions, to speak to scientists and kick-off an exciting partnership to deliver the BioSafe360 Program – a strategic and proactive approach to biosafety. Scientists from other public health laboratories were welcomed to attend and members of the Westchester and New York City Public Health Laboratories were present. In contrast to one, annual safety training session, information is provided through live, monthly sessions; there are also three assignments per month and a weekly email. The goal is to break information down and deliver it in bite-sized pieces. Progress is assessed through monthly quizzes and a final evaluation. There are several advantages to this approach 1) information is more readily retained when the amount presented at one time is smaller 2) by presenting biosafety material more frequently, the subject is kept forefront in our minds. A third strongpoint is that the laboratorian is involved in assessing and maintaining biosafety. As Mr. Kaufman points out, safety isn’t something that is done "for and to scientists", but rather "with and by scientists."